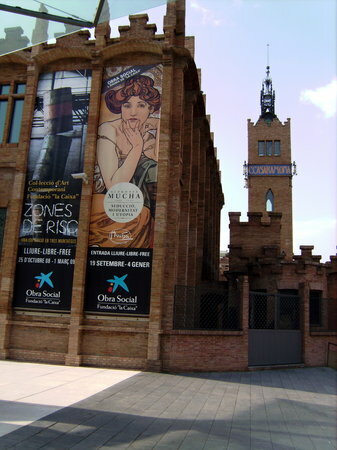 Can't think of a better way to discover Barcelona which is so rich in history that one could never explore all its facets by oneself. Our family of 5 took the Old City tour with Gorka. It is best to reserve so that they can plan in advance as the tours are kept fairly small. Be prepared for a lot of walking & a lot of history. However, despite 90+ degrees, no one complained at any point in the tour. Even my 10 year was kept captivated. I wish there were Runner Bean tours and Gorka in every city! But sadly, there is not. 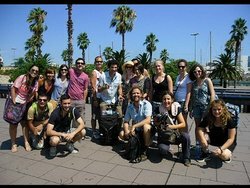 So be sure to join a Runner Bean tour in Barcelona as you won't regret it! I remember you guys! Thanks so much for such a lovely review. It brought a smile to my face and calling me "an ambassador of Catalonian culture & history" is the highest compliment I could wish for. We decided to do the Runner Bean tours whilst staying in Barcelona a few weeks ago. We travelled as two families with teenagers. In the morning, we joined the Gothic Tour led by Gorka. He opened up a world to us full of history and beautiful sites. We would never have seen or known any of it had we not done this tour. Doing the tour on foot was the only way and despite the craziness in the streets, as we were there during the La Merce festival, he was able to keep us all together and carry on informing us and pointing out everything we needed to know. At the end of the tour we asked Gorka his opinion for a place to lunch and he suggested a great little tapas bar in the Barcelonetta area. The tours and the lunch were one of the hightlights of our trip through Europe. In the Afternoon, we joined Jessica on the Gaudi Tour. We had planned to do this tour on a separate day but the Runner Bean team had contacted me via email to say that there was a metro strike planned and the tour wouldn't be running so we decided to do both tours on the same day. It was exhausting but well worth it as the tour was fabulous. We travelled with Jessica through the streets and on the Metro to see Gaudi's most famous sites. We covered about four of them but the info and little anecdotes that Jessica provided opened up the world of Gaudi to all of us. The tour was much less hectic that the morning session as the group was smaller and we even had a chance to chat to some of the others in our group. We just loved Jessica and if you get the chance to join here tours, you will not be sorry. Just a tip, although you don't have to book in for these tours, I contacted them anyway as we were travelling as a group of seven. As a result, they were able to let me know of the metro strike and we didn't miss out on this tour so perhaps that is something to keep in mind. 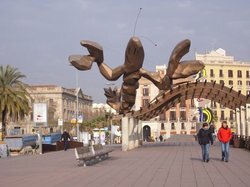 When deciding to do a walking tour in Barcelona I did a fair bit of research with the decision coming down to Runnerbean as they were the only 'free' walking tour that had positive reviews from multiple sources, both online and off. I am happy to say that I was extremely happy with the Gaudi walking tour I went on. The guide, Debbie, was extremely knowledgeable, pleasant and professional. I'll be back tomorrow to do the old city tour! 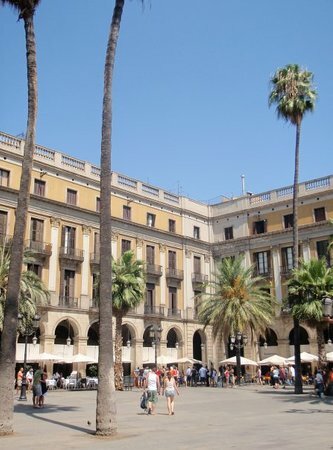 This is a must do in Barcelona and i was Catherine was amazing with the depth of knowledge. Dont miss the ladies wearing green vests! Thanks Catherine. 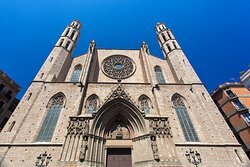 Gaudí Tour - Must do in Barcelona! We joined the Gaudí Tour a few days ago and it simply was amazing! The meeting point was easy to find [ just watch out for the ladies in the "fancy green jackets" :-) ] and our guide Jessi was awesome! She was passionate about Gaudí, very knowledgable, happy to answer all our questions (not only the ones concerning Gaudí) and knew how to make the tour interesting for everyone. As you know time flies when you're having fun which is why we didn't even realize that we've been walking four about 2 1/2 hours. Another benefit of this tour is that you don't have to pay the entrance fees of the bulidlings (well, you don't go inside) but still get an impression of the decorations because the guides show you some pictures. So go for it - you won't regret it!